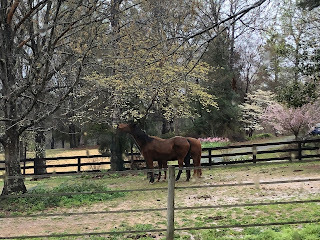 Last weekend we had a thunderstorm that yielded the most rain I’ve ever seen fall in the 15 years we’ve lived on November Hill. All the drainage efforts we’ve made were working but they simply couldn’t handle the amount of water pouring from the skies, and we had a 6-foot wide rushing river flowing through our front pasture, waterfalls along the pollinator terraced beds, 2-foot streams flowing from the barnyard gate and the grass paddock to the front pasture, a pond at the far fence line in front, and the driveway near our gate was completely under water. My husband took photos but I don’t have them yet on my ipad. I was so worried the driveway had washed out I couldn’t stand focusing a camera in that direction! Thankfully, a couple of hours later the water drained away, the driveway was intact, the fence held, and we have gradually dried out with several sunny days since. More minor issues: some newly-mulched areas washed out in a few areas and will have to be redone. 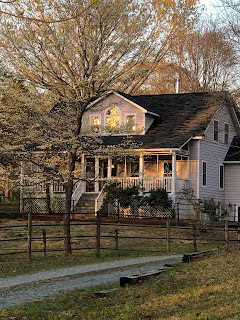 This includes the area we prepared for my bee hives and made it clear that wasn’t a great location for them anyway, so I’m back to square one with where to put them. We are totally green now, and things are growing like mad here. 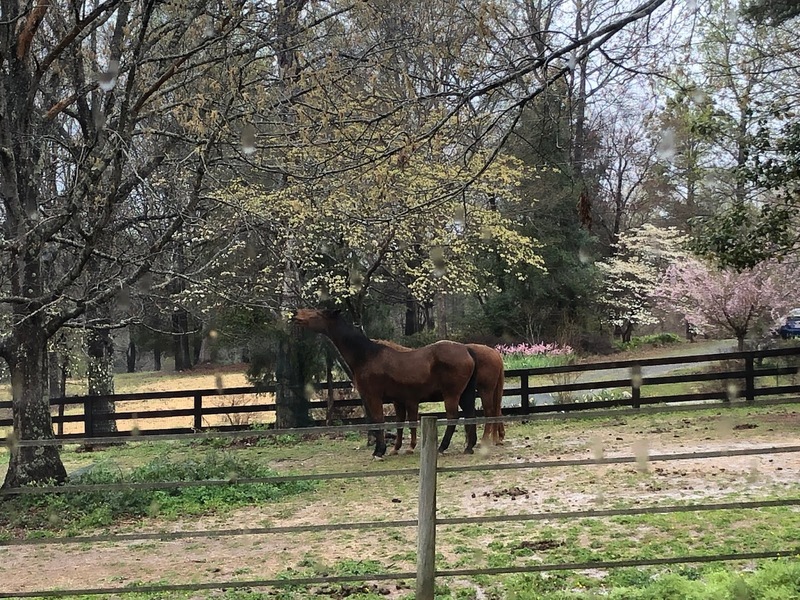 The one good thing about the rain is it made a large dent in the pollen count. In other news, Clementine has started puppy kindergarten class, Violet and Isobel kit-meows were spayed with no problems yesterday and are recuperating upstairs, Bear Corgi had a broken tooth extracted and is recovered, and Pippin kit-meow is now on Prozac to help with a marking issue. It’s a vet clinic here at the moment, but all are well and we’re happy to be done with the surgeries for now. The schedule these days seems to revolve around when the puppy sleeps and when she’s awake. Right now the herd are all spending some quiet time with hay in their closed stalls so I can take the dogs out for a farm romp - but Clementine conked out so we’re waiting for her to wake up. 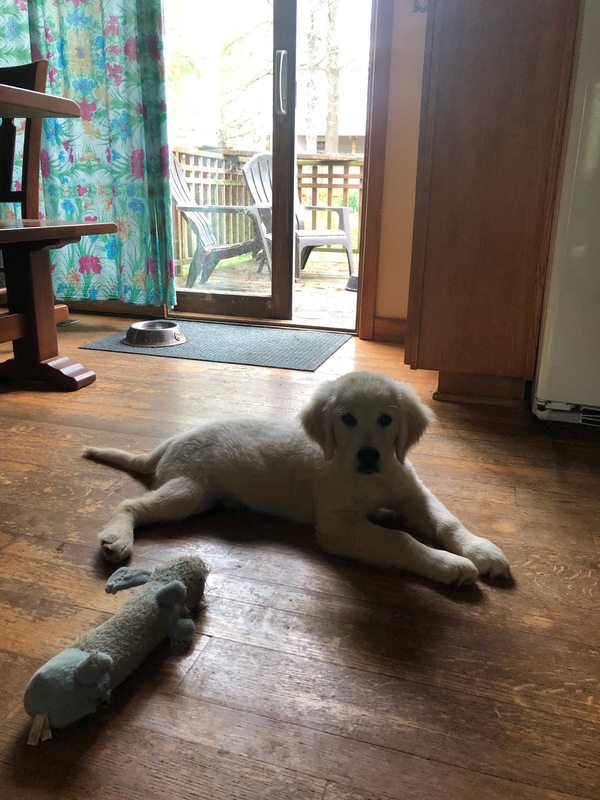 She’s 12 weeks old and her awake times and energy level are getting longer and bigger. She’s discovered the art of digging holes - I’m hoping farm romps will direct that energy elsewhere! 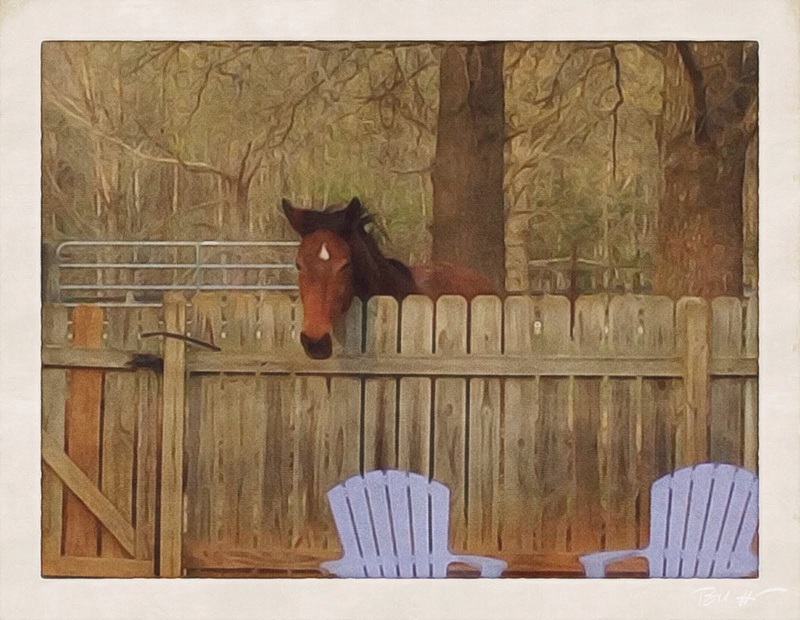 She’s a sweetie and a beauty. 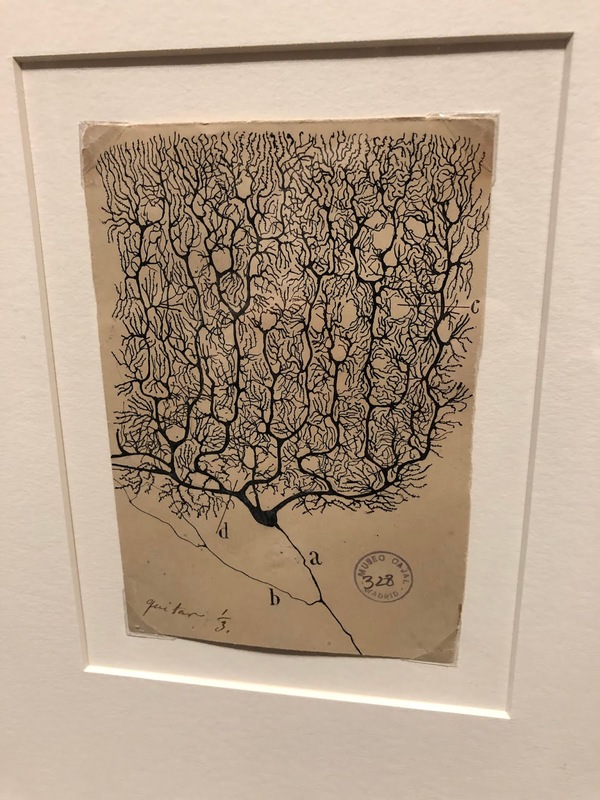 Last weekend we visited the Ackland Museum to see their exhibit showcasing the original drawings of Santiago Ramon Y Cajal, Nobel Laureate author of The Beautiful Brain and a luminary in neuroscience. 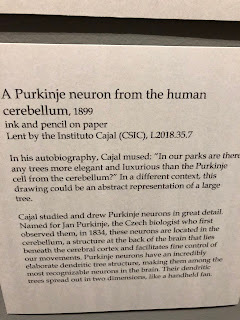 Several years ago I gifted my neurobiology major daughter his book, titled The Beautiful Brain, and available HERE. 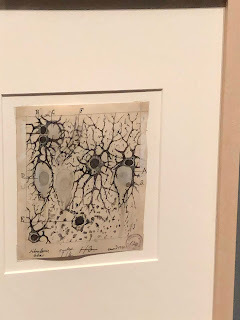 It’s an absolutely gorgeous and mesmerizing look at the intricately beautiful drawings he made during his lifetime (1852-1934). 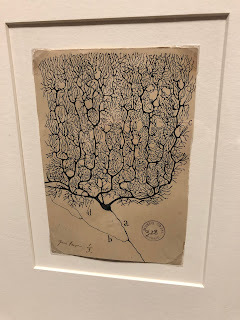 Cajal is considered the father of neuroscience. 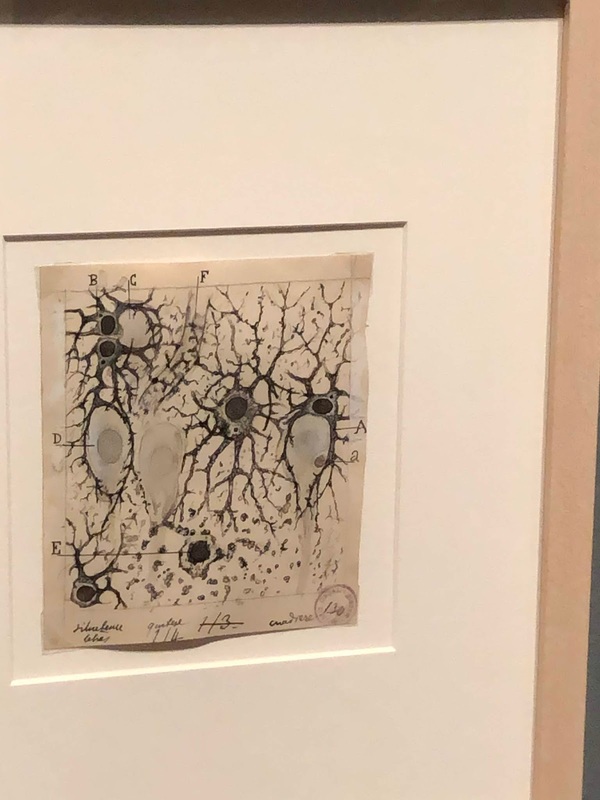 The opportunity to see many of the original drawings was too good to miss. This photo of him is eerily similar to a treasured childhood memory I have of walking home from school in the first grade and passing by a downtown shop window that was at ground level. 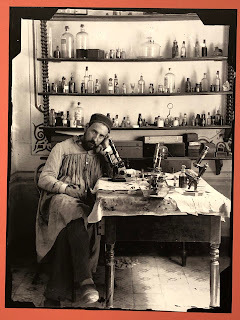 Inside were shelves of tiny bottles and tools, and a man often sat at a chair in the room, working. I do not know to this day what the little shop was or what the man was doing, and no one seems to remember it, but I’m sure it was real. 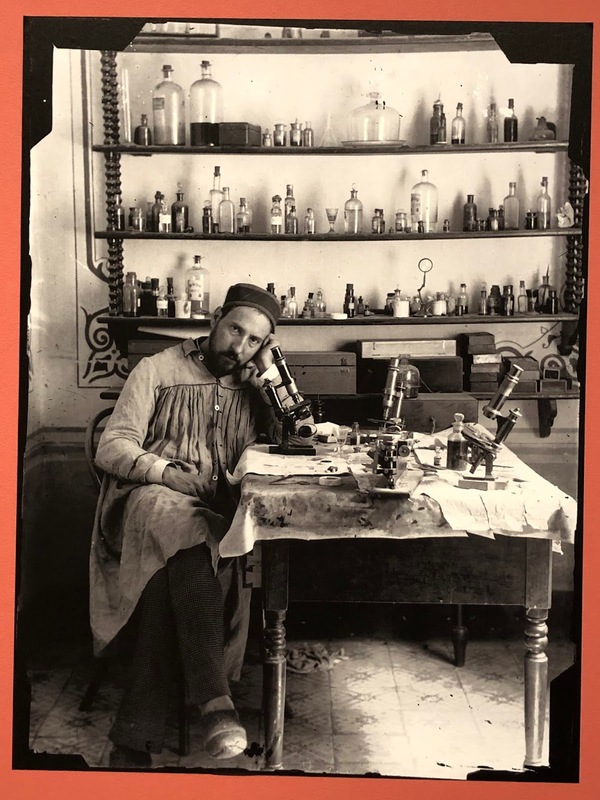 Now that I see this photograph of Cajal in his own work space I am even more curious about my memory. Astrocytes are a sub-type of glial cells in the central nervous system. They are also known as astrocytic glial cells. 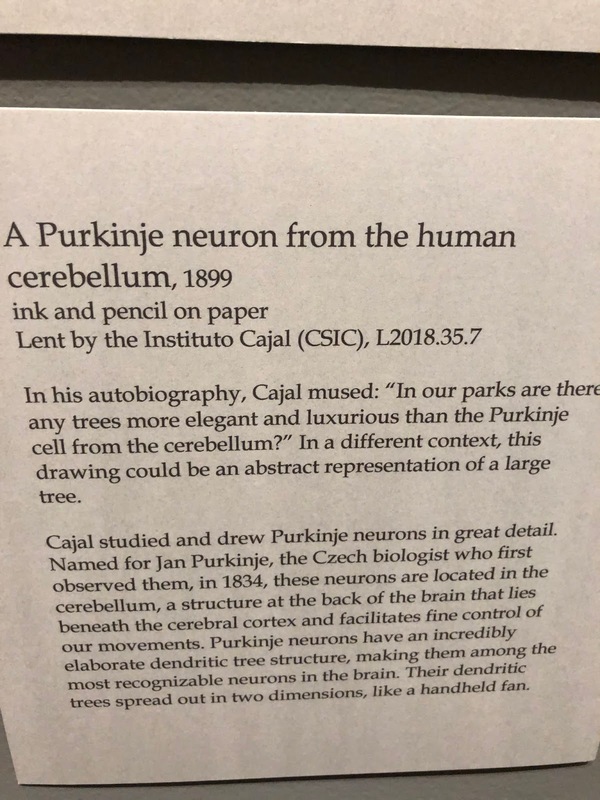 Star-shaped, their many processes envelop synapses made by neurons. This book and the exhibit are fascinating and a wonderful way to combine learning with art.